Guest post: By Guy Alexander Bell. Bsc. (hons). Keeping the house in tip-top condition brings many benefits to the owner of any house in London, especially if you are one of the people who like to “keep up with appearances”. No one wants to be known by the neighbours as “that family from the scruffy house!” – do they? Careful thought should be made to any plans for internal or external painting, and colour schemes can be discussed with your decorator, as can any other ideas you may want to try out. 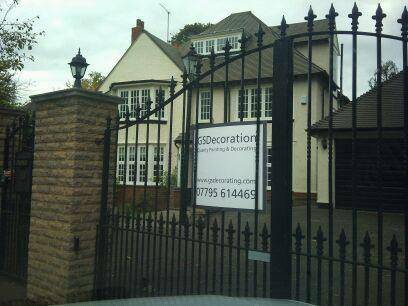 Decorators don’t just paint, they are responsible for many things on-site, including safety and security of your property, and that of the passing pedestrians. To get your house painting done, that you want done quickly, professionally, safely, and at a price that suits you, not the company you are hiring give careful consideration to the decorator you choose. Who to choose for the best decorating job? As a surveyor I get to see all kinds of jobs and have the opportunity to inspect painting work for quality and consistency. Time and time again, I recommend the expert services of GSD Painting and Decorating, who covers the whole London area. Their high quality painting and decorating work can be seen across various locations in London, and recent jobs have included work on many prestigious buildings and well known clients. The company carries out top-class house painting and decorating for private home owners, banks, shops, pubs, hotels, blocks of flats, local councils and many other high profile clients, all of whom would not hesitate to recommend GS Decorating. As members of both the Painting and Decorating Association and The Guild of Master Craftsmen you can be assured you would be working with a professional painting company that provides a first class decorating service. Exterior house painting in London. Painting the exterior of the house is very different from internal painting. For a start, internal painting can be attempted by the keen DIY’er, although with the best will in the world, it’s probably not going to turn out as well as choosing a professional painting company such as GS Decorating decorators London, to do the work. 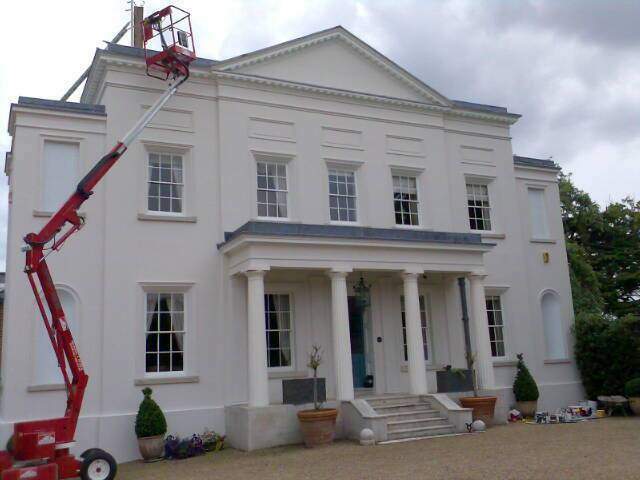 Their team can carry out a range of external painting jobs, on all types of homes across the capital and they work with a range of top quality brands and suppliers, so no job is ever too big for the team to handle. I would recommend checking out the information here on their website, including the many colourful images and photos of previous jobs. GS Decorating have hundreds of glowing testimonials and recommendations from previous customers, all of whom were absolutely delighted with the painting and decorating work carried out by top decorators GS Decorating. If you have a painting and decorating job that not only would you like a quote or estimate you need to contact a painter today. Give GS Decorating a call today, it could save you a lot of money and hassle in the future. This is a guest post for GS Decorating by author and property surveyor Guy Alexander Bell of Never Paint Again UK Ltd., specialist contractors for Exterior wall coatings by Andura. Guy has been writing about house painting on the internet since 1999, and also is a published author in quality home improvement and decorating magazines. He is editor of the popular house painting website “Never Paint Again” and recommends GS Decorating for all general painting and decorating needs in the London areas.